Your gift today will give a voice to Egypt's Christians. 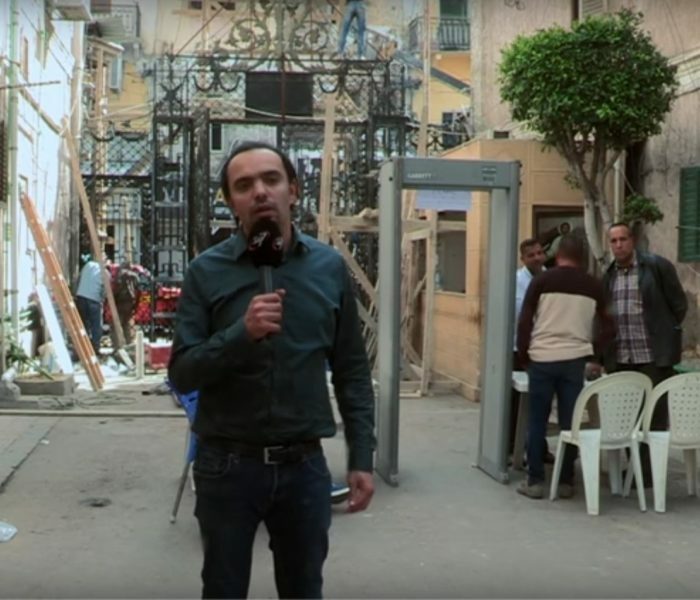 "Hard pressed on every side, but not crushed" - Will you stand with Egyptian Christians this Easter? When you go to church on a Sunday morning, it's hard to imagine being a target for terrorism. But that's what many Christians in Egypt have suffered in the past year. More than 100 Christians have been killed in Egypt. Bombs have detonated in churches; on one occasion a terrorist calmly walked to the front of a service and let off an explosive, murdering 27 people. An attack on a bus travelling to a monastery took the lives of children, among others. And in the north, so-called Islamic State (IS) militants stormed into homes and shot Christians on the spot. A heavy security presence during major Christian festivals has, no doubt, prevented many more attacks. In this climate, Christians need Jesus more than ever. There's an urgent need for an alternative message - one of peace, kindness and forgiveness. Thanks to the support of people like you, SAT-7 has been able to respond to every attack on Christians. After one church bombing, our camera crews were there within an hour to give a voice to shocked worshippers. We ran programmes remembering those who lost their lives, and broadcast messages of peace from church leaders. We put a live worship event on air, and people phoned in to pray for Christians, for security forces, and even for the terrorists themselves. Will you help us continue to broadcast God's love to Egypt's hurting believers? Today, with only weeks until Easter, the shadow of violence is looming again. Security is already tightening up as Christians prepare to remember Jesus' death and resurrection at churches right across the region. Will you help us broadcast Christian satellite TV to a community under pressure? Nahla lost both her daughters when IS bombed their church. Wearing a locket holding her daughters' photos, Nahla said, "Of course, there's pain and sadness and aching. That won't go away for the rest of my life. But God will strengthen you. Take refuge in the Lord." What a powerful message for a community under pressure! 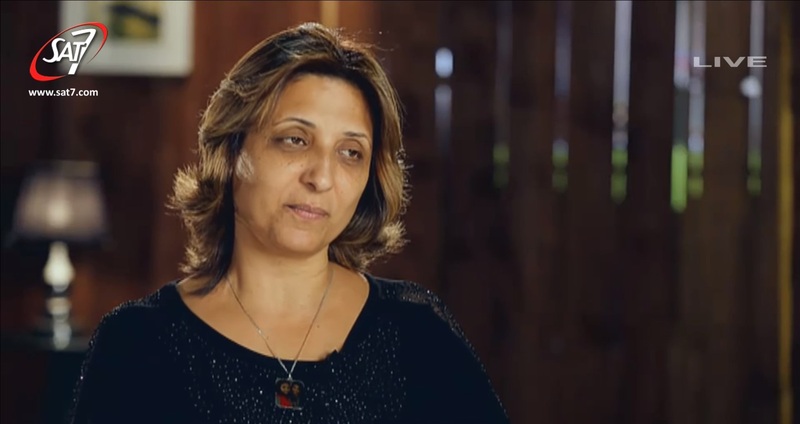 Through SAT-7, Nahla's story of strength reached 5.5 million viewers in Egypt. Give now to ensure we can keep broadcasting inspiring stories like Nahla's. Your support today will give a voice to a bereaved, angry and hurting community so they'll know they are not forgotten.You'll spark waves of prayer for this region as people respond to SAT-7 programmes. You'll offer hope, counselling and advice to millions of viewers affected by violence. Will you stand with Egyptian believers this Easter? Image: Mr Know prays for Egypt on his SAT-7 KIDS show after children called in to ask why Coptic Christians were attacked. Research shows that it costs around £1 to broadcast SAT-7 channels to two people for a whole year - and to provide the online support that many of our viewers request following our programmes. So your gift of £10 will reach 20 people in the Middle East with God's love and hope in the coming year. "We are hard pressed on every side, but not crushed; perplexed, but not in despair; persecuted, but not abandoned; struck down, but not destroyed." In Psalm 27, David cried out, "Hear my voice when I call, Lord: be merciful and answer me." Download our Lent Prayer booklet for ways to pray for Egypt and the wider region. 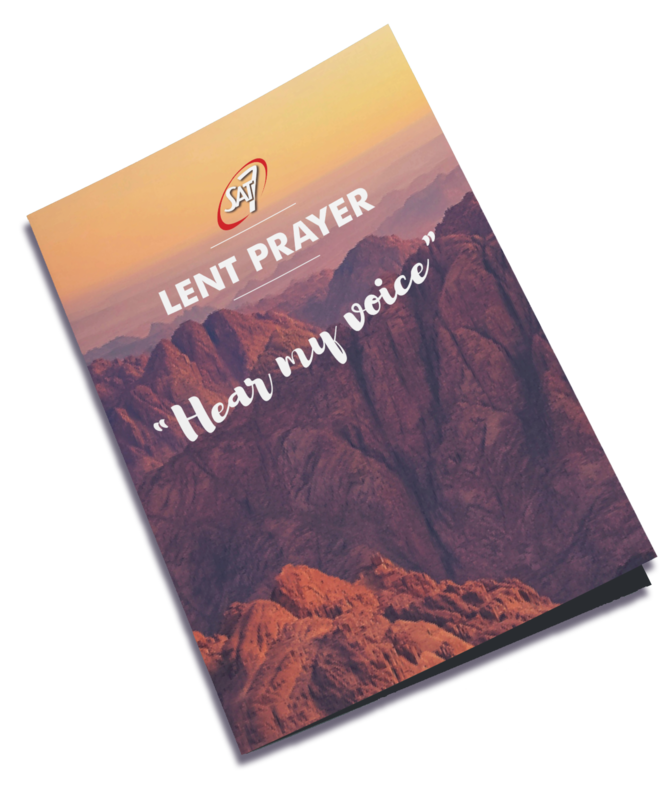 In it you'll find reflections, blogs and testimonies from across the Middle East and North Africa, with daily prayer pointers for the 40 days of Lent.